– Reliance is planning a new plant at its Jamnagar refinery having a refining capacity of around 30 million tonnes of crude oil per year. – Rentala Chandrashekhar, an independent director on the board of Yes Bank has resigned. The Bank may overhaul its board after getting permission from the promoters. – RBI has decided to set up an expert panel for examining its economic capital framework. It will review bank’s capital rules as also restructure MSME loans. – Tata group has said that it has not made a proposal to acquire a stake in Jet Airways but is only in the preliminary talks to assess the situation. – Binani Cement update – Supreme Court has upheld NCLAT order for UltraTech Cement’s revised ₹7,900 crore bid to acquire Binani Cement. The NLCAT order was challenged by Dalmia Bharat. – RBI will infuse Rs.8,000 crore into the system through the purchase of government securities on 22nd November. – ICICI Bank is planning to raise around Rs.25,000 crore through NSDs and other fixed-income securities for on-lending to fill in the vacuum left by NBFCs, which are facing a liquidity squeeze. – Wipro has appointed former IBM executive Bill Stith to head its healthcare and life sciences division. – Air India is planning to raise around Rs.6100 Crore through sale and leaseback of its seven aircrafts. 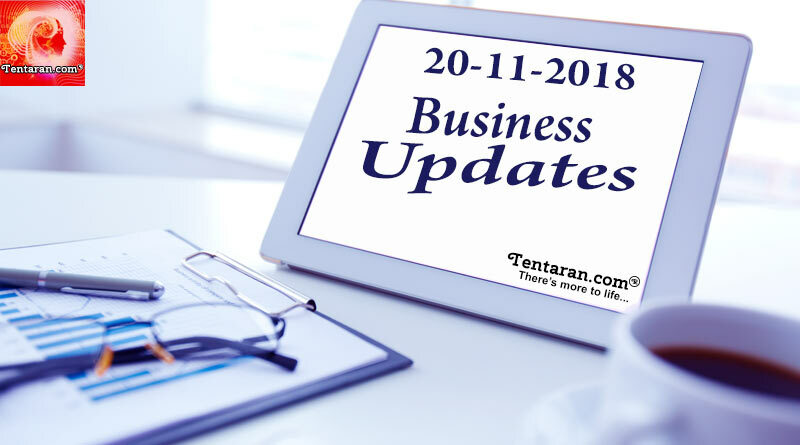 – Authority of Advance Ruling has said that back offices of multinationals and Indian companies offering back-office services to MNCs are intermediaries and must pay 18% GST. – Temporary closure of one of the runways at Delhi airport together with seasonal demand led to a surge in spot airfares to and from Delhi. Travel portals showed spot prices for a non-stop Delhi-Bangalore ticket in the range of Rs 29 to 35,000.